Finding the right equipment for a busy culinary worksite can be difficult. The equipment used must meet several requirements in order to remain conducive to a productive environment. Storage units, for example, are key for keeping foods organized properly. While a versatile storage option is great for keeping track of many different types of contents, units should also be rugged enough to hold heavy loads and withstand the demanding culinary environment. The Workplace Depot offers a product that has all of these features and more. 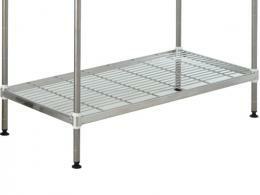 Stainless steel kitchen wire shelving is a durable, versatile, and convenient choice for any kitchen. By allowing for more food storage options than other common alternatives, this affordable product can improve any kitchen. 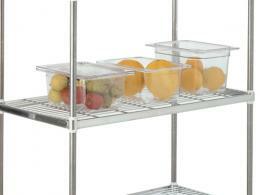 This product is designed to be a more reliable storage alternative for kitchens of all shapes and sizes. While some storage units are common in nearly every culinary worksite, not all of them can prove effective in the long term. However, stainless steel kitchen wire shelving can support a lot of weight while remaining strong in the face of intense heat or moisture. Largescale culinary worksites need to keep plenty of food and ingredients on hand. This heavy load can sometimes causer lesser food storage units to break down and require replacing. 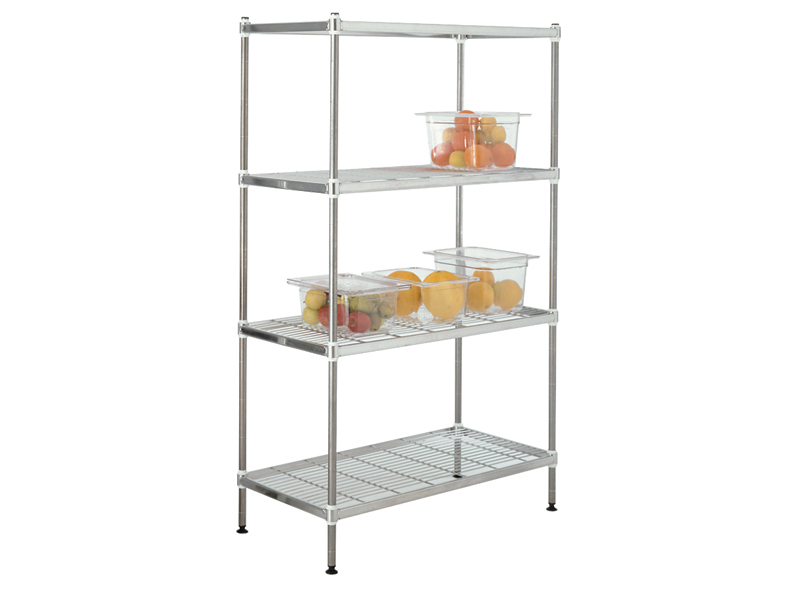 The stainless steel construction of these shelves offers an improved lifespan and can serve as a safer long-term investment. Anyone who has ever tried to store heavy pots, large food boxes, or cumbersome kitchen appliances can benefit from these strong and spacious shelving units. With enough durability and the proper dimensions to handle all kitchen storage needs, these units can help any culinary team member. 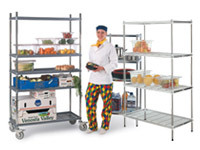 In addition, caterers and even medical professionals can also use these shelves.